What a fun weekend in Lufkin starting Friday with our Ranch Horse Competition and Free BBQ. A great turn out serving over 150 prospective buyers and a great selection of horses in the Preview and Competition. Saturday started strong on the better quality type horses and never let up. Top seller of the day was Lot 62 Dos Olena Cutter at $16,200. The gorgeous, golden palomino was a finished head horse and gentle for anyone. 2nd high seller was Lot 86 Black at $12,000. The grade, coal black gelding was a preview highlight and broke the very best. 3rd high seller was lot 58 Hooked On Cats at $10,000. 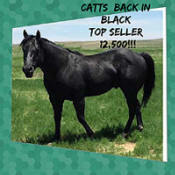 The own daughter of High Brow Cat was a NCHA money earner and gorgeous. Top 5 horses average $11,840 and Top 10 horses averaged $9,460. Next sale will be September 7-8 with a WRCA Ranch Rodeo Qualifier following the horse sale! What a great way to start off 2018 with a record breaking sale. 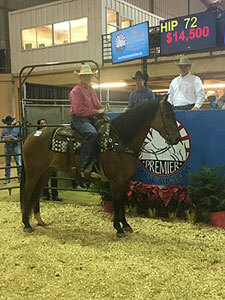 March 2 & 3 were great days in Lufkin as the preview and sale got underway. The preview as always was outstanding with a great selection of horses to watch perform in many different disciplines. Saturday started off with a bang and the momentum never let up. 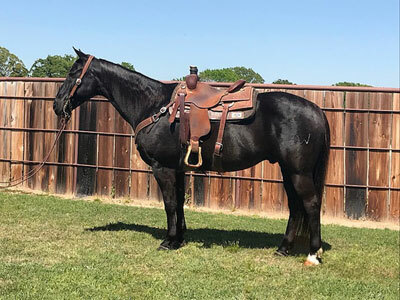 High seller for the day was Hip #30 Catts Back In Black a 2009 Black Stallion sired by Sophisticated Catt and out of Lena O Lady NCHA $28,000 and producer of $95,000. 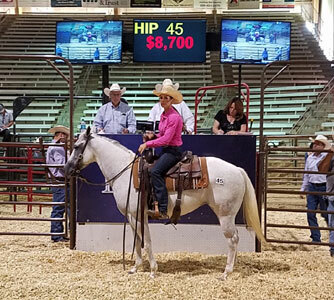 The gorgeous stud was really broke and cowy and shown by top hand Klay Waters topped sale at $12,500. 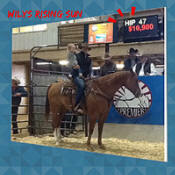 Hip # 47 Wilys Rising Sun 2011 red dun gelding was big and beautiful. The finished head horse reached final bid of $10,900. 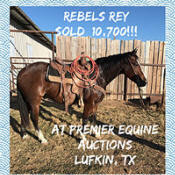 Rebels Rey Hip # 84 come in 3rd high seller at $10,700. The son of Reys Dual Badger was a NCHA earner of $10,282 he could ride and rope. Barrel racers were in for a delight as Hip # 28 entered the building. 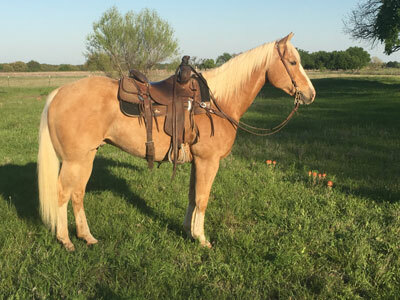 The 2013 palomino gelding was broke and beautiful. Started on the barrels and roping calves this nice gelding by Frenchmans Guy sold for $10,500. Hip # 76 rounds out our top 5 at $10,000. The 2013 fancy gray gelding was a ranch horse sensation and started in the arena. Top 10 horses for the weekend averaged $10,250. Top 20 averaged $9,125 and Overall average was $4,880. Next sale will be June 22 & 23 featuring our Ranch Horse competition and free BBQ on Friday and Sale on Saturday. Fireworks in November, who would’ve thought. A great weekend with an excellent set of horses consigned couldn’t of turned out better! Friday the demonstration started at 2:00pm with the team roping horses shown on a nice set of fresh roping steers, horses had the opportunity to show their ability to the max! Immediately following, the cutters took the stage and then ranch horses and it sure did pay to come play on Friday! Horses shown on Friday averaged over $4600 more than unshown horses! Saturday sale kicked off 10:00am sharp with 33 very nice fresh roping steers they reached final bid of $650/Head and the rest is history. Top 5 horses averaged $12,580 with high seller lot 72 RJC OLE POCO BID 2004 Dun gelding with final bid of $14,500. The fancy dun horse was finished on the head side and gentle for anyone. 2nd high seller was lot 33 LEAVEYOURGUNSATHOME. The 2004 beautiful bay gelding was finished head horse who also had reining training and could dang sure ride! 3rd high seller was lot 110 ALEDOS BLUE BANDIT. The social media highlight reach final bid of $12,900. Big beautiful and BLUE He could do it all rope, barrels and trails. 4th high seller was lot 86 LUCKY DOG KING the 2011 red roan gelding came all the way from the Texas panhandle to be a demonstration highlight in team roping and ranch horse pattern then topped out at $12500. 5th high seller was lot 51 OSO AZUL SWEDE the 2014 Blue roan gelding was gentle and ready for the arena. Top 10 averaged $10,250 and top 20 averaged $8,315 overall average was $4,334. We are so thankful for all the consignors and buyers who helped us make our first sale such a success! Thank you to Steve Friskup and Shawn Holden we couldn’t of made this happen without your support and guidance. Be watching for our upcoming sale the Spring Color Roundup March 3. 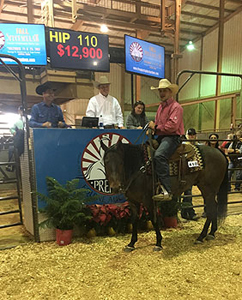 Outstanding Market, crowds, and horse quality despite the weather and aftermath of Hurricane Harvey. After a hard and struggling decision and many phone calls from distraught customers needing to continue with the sale of their horses’ due to flooding and displacement, we decided to move forward with the sale. As our transitioning sale from Pederson and Pederson Auctions (Mike Pederson) to CL6 Auctions (Clay & Lidia Wing) we felt as though it could not have gone better. Team Roping horses and cutting horses were the highlights and high sellers of the day accompanied by good, honest ranch horses. 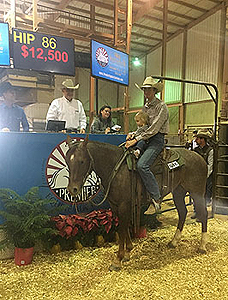 High Seller Lot#16 2011 Gray Gelding Consigned by Tyler Strickland of DeKalb, TX brought $9,000. 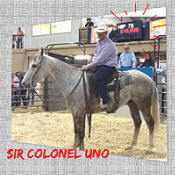 Second High Seller Lot#45 2012 Gray Mare Consigned by Tullis McKnight of Baton Rouge, LA brought $8,700. 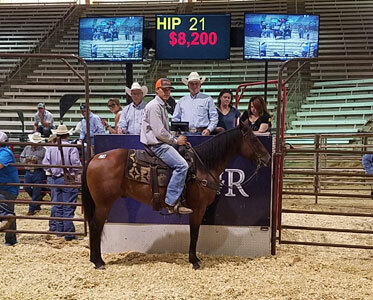 Third High Seller Lot#21 2007 Bay Gelding Consigned by Connor Dickson of Grapeland, TX brought $8,200. The top 10 horses averaged $7,040. The top 20 horses averaged $5,745 and overall average $3,960. Hope to see some fresh faces and new horses in November. Feel free to call or text anytime we love to talk horses! 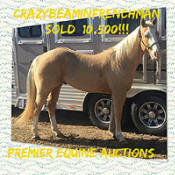 Please continue to visit our website and Facebook page for all our updated info, consignment forms, and upcoming sales. New for the November Fall Spectacular horses will be able to work live cattle while selling. We look forward to doing business with everyone! Thank you to all who attend our Sales! 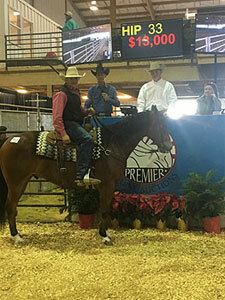 Premier Equine Auctions. All rights reserved. Site proudly designed and hosted by Big Sky Internet Design.